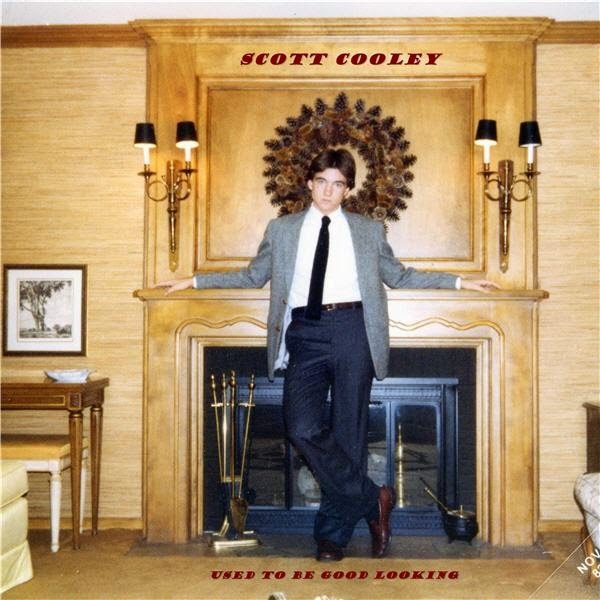 Scott Cooley’s latest record, Used To Be Good Looking, is the 6th studio album he’s self-released on his independent label. Available in CD format from Amazon, and download from iTunes, Google Play, Bandcamp, and Spotify on June 21st, 2014, it contains 14 new original songs. The first half of the record is a little more mainstream, poppy, and commercial with shorter rock songs, whereas the last half finds Scott venturing into longer and more serious songs with hints of jazz, bluegrass, folk, and blues. Fans of the all-acoustic instrumentation, catchy melodies, and outstanding lyrics on his past releases will not be disappointed. As far as live public performances go, he entertained attendees at Lamb’s Retreat for Songwriters in 2012 at the Birchwood Inn in Harbor Springs as a solo act, and also headlined the annual Schmoopiepalooza Festival in 2013 at Pickerel Lake in northern Michigan as a duo with his lovely and talented wife Lenore on accordion. Scott’s recent experiences leading up to this release have included a few get-togethers with family and friends, a few days spent sailing, a few days spent skiing, walking the new golden retriever, Levi, and regular date nights with Lenore. Essentially a non-performing songwriter and recording artist, Scott wrote and recorded these songs over the course of a few weekends, and an hour or two on a few different weeknights sporadically in his basement “man cave” spare bedroom studio since his last release. The Scott Cooley band has in the past included wife Lenore as guest studio musician (accordion, keyboard, marimba, flute, background vocals) and spiritual producer Lucky Cooley (sadly, he’s now in dog heaven). This album is different in that on the first 13 songs, there’s no one else on it, but Scott finally convinced Lenore to play right-hand-only accordion on the final track, “Smitten with the Mitten,” and thanks to her contribution, it’s a strong candidate for consideration of being designated as a state song for the state of Michigan. Levi wasn’t quite up to speed yet on production advice, so as a solo artist, one-man band, and do-it-all-yourselfer, Scott wore all hats involved this time, recording himself playing guitar, bass, marimba, harmonica, drums, percussion, and singing the vocals in East Lansing. Scott’s fan interactions, aside from the aforementioned live performances, have been limited to only one or two announcements on his website, and several posts to his blog about his experiences with songwriting and music recording. One fan chimed in with excitement upon discovering the song Mackinac Island from the 2006 Lakeside Landing album, and her intention to share with her college friends and family members in Michigan, and sure enough, the online MP3 downloads increased for that song again. Another fan reached out to Scott to note that he loved the last album, Cherchez La Femme, and having been on hiatus from being a musician himself, felt inspired to get back into it. I’m not a great singer, guitar player, bass player, percussionist or songwriter, but I blend these things and put the music out there anyway, dammit! I’ve got a new album that’s going to be in online music stores soon, and I’m now at the stage of letting people know about it because I want others to hear it, if they’re interested. It’s my sixth such album in the last ten years, so I’ve been through this before, and it’s like blogging. You make your thoughts known, and in that way you’re vulnerable. Whether a post or a song, it feels like being naked in public. Most people I make aware of it won’t care, won’t be interested. Just like the bombardment we all get on a daily basis, whether through commercials on TV or junk emails. We quickly change the channel, and we quickly delete. Personally, I try to avoid advertising whenever possible, and having things suggested to me usually makes me less likely to be interested. Sometimes though, you act on a recommendation from a trusted friend and you’re glad you did. This very thing has happened with my music in the past. Some people are going to like it, usually people you already know, and they tell people they know, and people tell you they like it. Just like I’ve had people tell me before that they like reading things I’ve written in this blog, people have told me they liked my music before. This next album I have coming out soon is one where some people have heard some of the songs already in advance of it’s official release, and believe it or not, they’ve said they liked some of the songs already. Five of them have had multiple people go out of their way to mention to me the song titles as their favorites so far. There are 14 songs on this album, and you never know which ones people will collectively like the most for sure, but when you start hearing about it, it’s exciting. The word gets back to me via email, social media, and verbally. The interactive part is cool, just like blog post comments. The negative feedback stings a little, I must admit, but it’s offset by knowing some people liked some of it, which come to think of it, is the same way I feel about most artists’ albums I’m a fan of myself. It’s a common thing, yet it always feels strange to me to be in this phase of the process. It’s hard to describe, but you’re taking a leap, taking a risk, putting your hard work out there for people to judge or ignore. This informational post about songwriting is open to discussion with the interactive comment feature below. I would like to increase the social interaction and sharing regarding this blog with readers, other bloggers, and other songwriters and online independent recording artists. Although I primarily post my personal commentary on the subjects of songwriting and the frustrations with gaining an audience for my recorded music using the internet, I realize that if I were to steer this blog more in the direction of personal online brand advertising, my frustration might decrease. Rather than keep a running account of my activities I've undertaken in the course of writing and recording (and then trying to sell) songs, I thought it would be better to write only when I really felt compelled to. So, you'll notice large chronological gaps in my posts, and clusters of closely-spaced blog activity, instead of a more consistent online dairy. Even though I studied journalism in college, and indeed have written many a news article in my various day jobs I've held over the years, my favorite course was advanced expository writing, which typically focuses on one discrete topic. I therefore enjoy explaining, analyzing, presenting ideas, informing, and describing my experiences and thoughts, often with evidence and examples, and only when I really have something to say...often something to "get off my chest" because it's been weighing heavy on my mind and bugging me, whatever it is. Most of the time I ramble in a scatterbrained fashion, sometimes without getting my point across effectively, sometimes without making a point at all, but usually because I feel the need to tell people my thoughts. After all, this is a blog about the trials and tribulations of a guy who plays a guitar and makes up songs in his basement, records them, and then tries to sell them online. I know there are millions out there who do the same thing every day. The fun part is everything leading up to the trying to sell part. Songwriting isn't much different than other types of creative writing in this regard. The best written works are the result of involuntary inspiration. You can sit down and force yourself to do it according to a consistent schedule, but the quality of the output, I would argue, suffers in comparison with waiting until a strong urge is present. When you're revved up about it, good things happen. Persuasive writing, however, throws a monkey wrench into the engine, especially when faced with convincing readers of the persuasive writing that they should buy your creative work - in my case music with lyrics. When faced with the reality that it would help satisfy my desire to have my music reach a wider audience, I find that the type of persuasive writing I typically fall into writing is more in the form of argumentative writing. I argue for myself, as if representing myself or defending myself as a lawyer would in a court of law. Another way I tend to handle telling people about my music to persuade them to buy it is to use self-deprecating humor or satire. I do this because it naturally feels strange to create something and then try to recommend it to people. It's normal to not think of your creative work as particularly valuable or noteworthy, I think, because you don't want to tell people how great it is and then be disappointed they don't agree. No one likes negative critisism of their work, which in some ways is more painful than a lack of sales transactions. I think what this boils down to is that we humans have an innate desire for acceptance and we care what people think about us and our work to a certain degree. When we toot our own horns, we risk the pain of people who want to bring us down to earth. So, we strive for a balance. Sales experts would say it's all a numbers game, and there may be data to back this up. We live in a world where we love to root for the underdogs until they become the top dogs, and then we love to push them to the bottom or the back of the pack again. Build them up, only to tear them down. I could tell you my new album will reveal undiscovered brilliance, hidden talent, surprising quality, and that it's just a matter of time before it becomes more popular, and I can list reasons why I believe this. If I use words like "emerging," it might make you want to contribute to an upswing in popularity by telling others. If I'm excited about my music, you will be more likely to get excited about it yourself. A different way to look at it is realistically, which wouldn't produce the same results. We all would love to be wildly popular and then pretend to be humble and understated about it. None of us want to be thought of as artists who think they are better than the reality of how they are actually perceived by others. People have told me they like some of my songs, and I believe them. People have bought my songs and albums, and I have a little money to show for it. Since I know what people tend to like, I tend to want to give them more, only without repeating myself. This is tricky for an artist. You want a signature style and sound, yet you want your new music to be fresh. You offer up your "babies" you created for judgement, wishing you'll hear nothing but compliments and encouragement. You get some of it, and you want more of it. At the same time, it does you no good to hear the negative, so you want to avoid it. These are the risks that are inherent in this balancing act. It's no different than blogging. Anyone can blog about anything at a nominal cost. It's when you try to make money that it becomes a challenge. You hear about blogs catching on, getting a huge number of subscribers and readers, a fan base if you will, and then they are able to get people to pay them for advertising based on that base. We'd all love to have that kind of accidental popularity, and it sounds like a nice easy way to earn money, but intentionally setting out to have that doesn't work. It's why most small businesses fail. The successful ones, it seems, start in a garage or basement and catch on almost accidentally. I am passionate about the songwriting and the recording. When that part is done, the fear and loathing kicks in. Telling people about your music, describing it, persuading them to buy it, it's tough, and it’s necessary but doesn’t quite feel right. Artists signed to real record labels have people take care of this part for them, and they pay to take it off their plate so they can concentrate on performing and writing and recording more. The independent, do-it-all-yourselfers like me can’t possibly feel comfortable with all aspects of it. So, I get through it using free methods, cringing about it, doing as little as possible while knowing if I don’t do anything at all, no one will know the album exists. I’m embarrassed about it I think. Not because I’m not proud of the music I create, but because I’m scared of negative feedback I guess. I get through it, this part I don’t like. This making people aware of the music part. There’s so much music in the world, and so little time it seems. It’s really neat that the internet allows you to very inexpensively put your music in online stores so people can buy it, and when some people do actually buy it, it makes you feel good. You hope it catches on more. You know it probably won’t. You think in your head that people are going to be saying things like, “remember that Scott Cooley guy? He thinks he’s a musician now. Have you heard any of his stuff? I streamed a few seconds of a few songs for free, and it’s not for me. It’s sad he probably thinks he’s way better than he really is.” Those kinds of thoughts go through your head. I know I’m not alone feeling this way, so comment if you can relate. This is the stage I'm in right now as I prepare to release my new album. I've been through it before. The simple fact that I'm blogging about it makes it seem like a bigger deal to me than it really is. Like blogging, occasionally this music hobby is something I enjoy in my free time, and I would like others to be aware of it so they can enjoy it. I'm going to keep on doing what I love, and you can like it or not, and that's ok. Such are the thoughts of an amateur songwriter and independent recording artist.